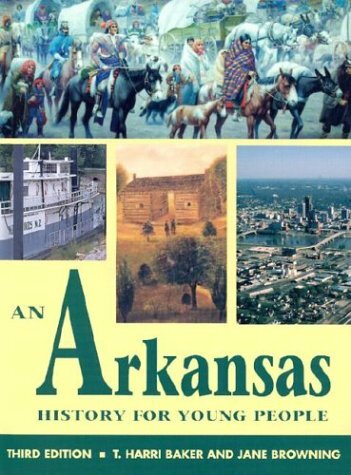 Once again, the State of Arkansas has adopted An Arkansas History for Young People as an official textbook for middle-level and/or junior-high-school Arkansas-history classes. This fourth edition incorporates new research done after extensive consultations with middle-level and junior-high teachers from across the state, curriculum coordinators, literacy coaches, university professors, and students themselves. It includes a multitude of new features and is now full color throughout. This edition has been completely redesigned and now features a modern format and new graphics suitable for many levels of student readers. 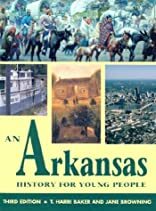 The completely revised fourth edition includes new unit, chapter, and section divisions as well as five brand-new chapters: an introductory chapter with information on the symbols, flag, and songs of Arkansas; chapter 2, which covers the geography of Arkansas; chapter 3, on state and local government; chapter four, on economics and tourism; and a “modern” chapter on the Arkansas of today and the future, which completes the learning adventure. This edition also has two “special features”: one on the Central High School crisis of 1957 and another on the William J. Clinton Presidential Library. It also has new and interesting features for students like the “Guide to Reading” (at the beginning of each chapter, there is a list of important terms, people, places and events for the student to keep in mind as he or she reads [corresponding to blue vocabulary words in the text, which are define in the margin]), “County Quest,” “I Am an Arkansan,” “Did You Know?” “Only in Arkansas,” “A Day in the Life,” “Chapter Reflection” questions and activities, over forty-five new content maps, and a comprehensive new map atlas. 3/29/2018 Jerry Lockard said: I like everything that concerns the history of young adults. This book is a great contribution to improve our knowledge about an Arkansas history for young people. If you have a peek at OkDissertations.com you'll find more info on this topic. 5/5/2017 Pamela Mora said: Excellent book for every young adult. Sharing experience adn thoughts is why we are here. Join our community at http://www.bestsessay.net/ site.